This is an easy and delicious side dish which only requires a few minutes of actual hands-on time. Generously butter a rimmed baking sheet. Halve squash crosswise. Scoop out seeds; discard. Slice a small piece off bottom of each squash half just enough to level. Set squash halves, scooped sides down, on prepared sheet. Turn squash; prick insides all over with a fork. Add 2 tablespoons butter, coating all the inside surfaces. Top with brown sugar to each half and season with salt and pepper. Continue to bake until flesh is easily pierced with the tip of a paring knife, 25 to 30 minutes. Sprinkle with FRESH grated nutmeg. 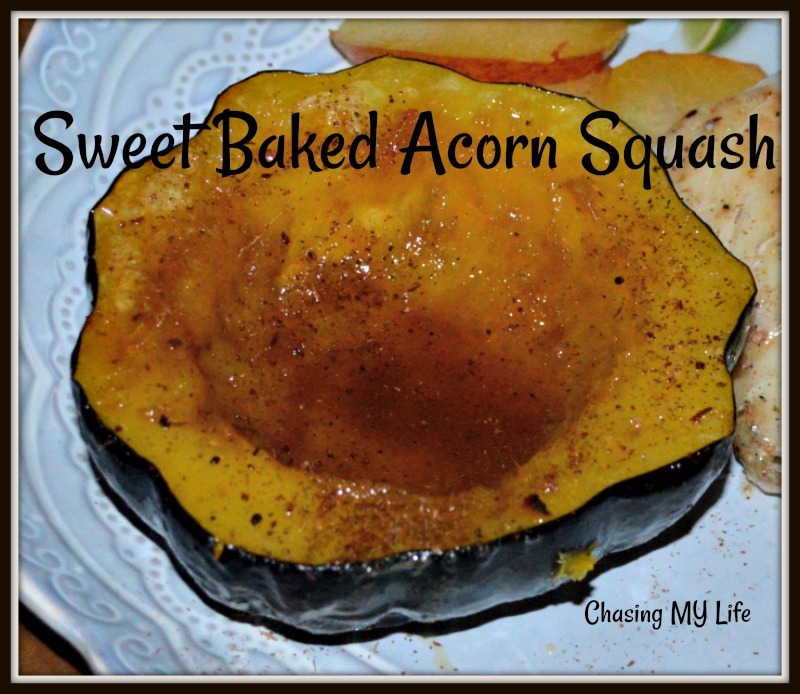 We will love your Acorn Squash! Your post is awesome and thanks so much for sharing with us at Full Plate Thursday.